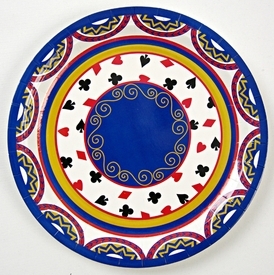 A great party plate for a card party with an array of patterns stylishly including the four suits of the playing cards. 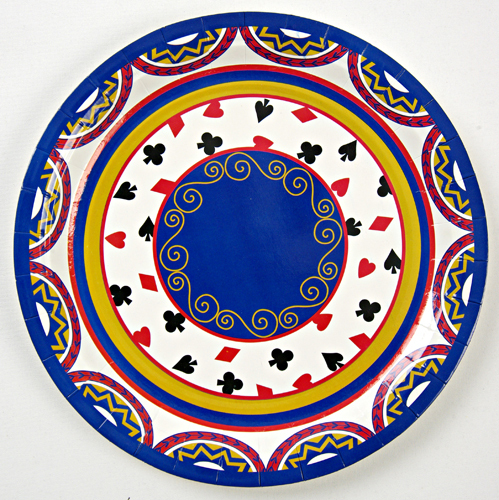 Larger 9" diameter size. NOTE: Only 9 packs left!